Today’s post is in current time – July 2016. First is a short recap of Larry’s condition, followed by some details about recent activities. Larry Clark, my brother-in-law, has leukemia. He was diagnosed in November 2014 and Andrea, his wife, Kathi & I took him to the emergency room at Methodist Hospital the Monday following Thanksgiving of 2014. In subsequent months, he went through chemotherapy to kill his bone marrow. Then, he got a bone marrow transplant from a donor in Europe who was a 10 of 10 match with him. Larry has struggled through several infections including several bouts of pneumonia. He has had digestive tract infections, several bouts of MRSA infection and blood clots in his legs. He has shed his skin several times, which is not unusual for bone marrow transplant patients. Between infections, Larry went for almost a year going to the clinic at Methodist Hospital two to four times per week to check his vital signs and give him blood or platelets as needed. 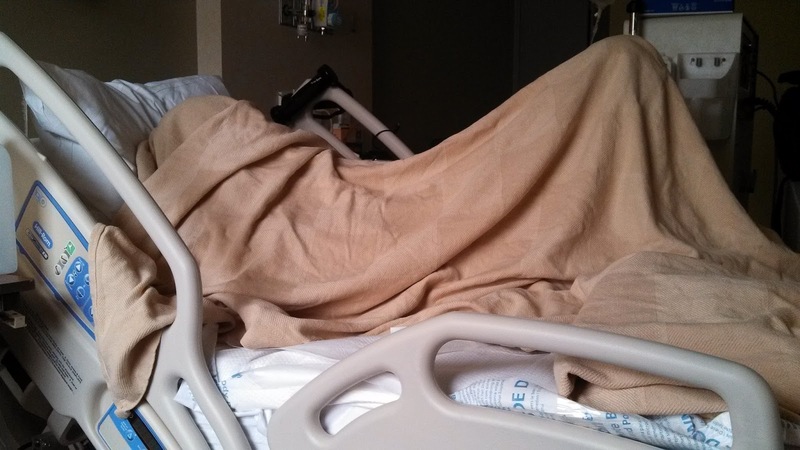 The current hospitalization began May 16, 2016. Larry checked back into Methodist hospital for an upper respiratory infection. All the medications Larry has taken, including antibiotics, steroids, appetite stimulants, anti-rejection medication and some others I do not recall, have caused his kidneys to fail. Lying in bed for long periods of time has depleted his strength. Not feeling good enough to eat has caused his weight to drop to around 170 pounds. That is not much for a 6’6” frame. They started doing dialysis on Larry at Methodist hospital, but he was losing strength and could not get out of bed. His doctor had him transferred to Kindred Hospital very near Methodist Hospital in the Medical Center. Kindred is able to do dialysis, physical therapy, occupational therapy and provide the meds he needs. 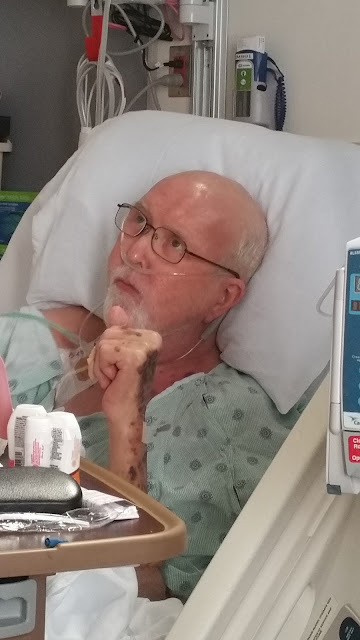 This is a picture of Larry at Methodist Hospital a few weeks ago. With all the activity in Larry’s room, and the paraphernalia around the room, it is often hard for housekeeping to clean the floors and difficult for the understaffed group of nurses to find a time to bathe him. 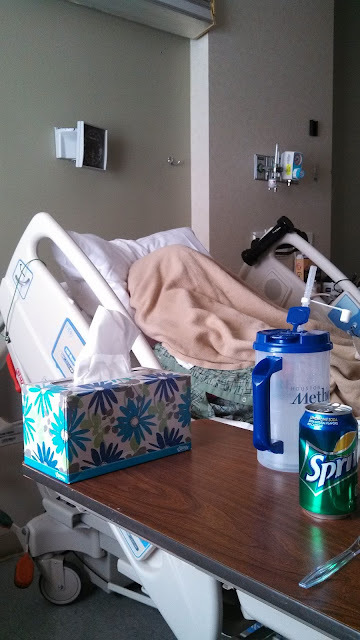 Andrea and my wife Kathi have been like eagles monitoring Larry’s vital signs and blood information and like drill instructors barking orders to assure he gets the care he needs to survive. Kindred uses contract nurses and each nurse cares for about 10 patients. They are very busy. This is how we see Larry much of the time. He stays cold. He comes out to watch TV with us in the afternoon. Kathi and I take Larry food and sit with him on Monday, Wednesday and Friday. Andrea is with him on other days. He prefers food from home and we are trying to help him put on weight. Andrea still needs to work and they are in the midst of installing new computer software. Andrea is the controller and must have a knowledge of the new computing system to assure financial needs are met. Kathi and I try to help where we can. Larry is ready to go home and we are prepared to get him to dialysis on an outpatient basis. All of us live on an emotional roller-coaster. Mostly we have hope. Thank you Arlon!!!! We hear so little from Frog...I know she is so busy. It is nice to have your updates :) Please tell him I love him and he is in my heart daily. I cannot say thank you enough to both you and Kathi. I keep both of you in my thoughts always. Thanks for Reading, Michelle. I will tell Larry what you said. Thanks so much for your kind words. Talk to you after you leave the hospital tomorrow.